Group Tapping Session • Feel Better Now! Group sessions are a great way to find out what EFT tapping is and how energy work can immediately improve the way you feel. 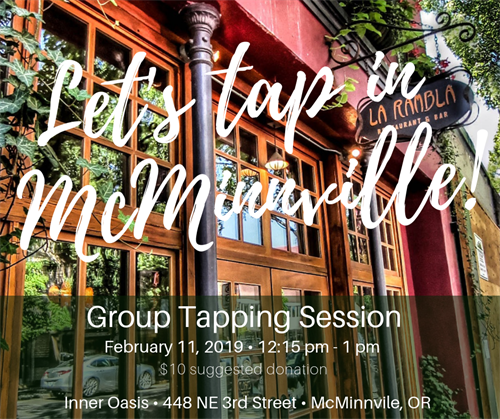 Join Karen Aquinas, Master EFT Practitioner and Trainer, and other community members for a group tapping session in a relaxed and supportive atmosphere. The benefits of group tapping can be profound, even if the issue being addressed doesn't seem to relate to you. In addition to Tapping, you'll likely learn several introductory energy wellness basics you can take home and use right away.